Could We Put A Telescope On The Far Side Of The Moon? Many times! There is currently a small UV-sensitive telescope on the Moon, which landed there in 2013 as part of the Chinese lander Chang’e 3, and it has taken some interesting images from the Moon to relay back to us, but it’s been placed on the near side of the moon, along with the rover, for easier communication with Earth. In general, the Moon has been considered an interesting place to put telescopes, because it’s a stable patch of ground, with no atmosphere around to interfere with the telescope. There are a lot of wavelengths of light that can currently only be observed from orbiting space telescopes - ultraviolet is mostly blocked by our atmosphere, as is gamma radiation, and infrared. So, if you can place a UV telescope on the surface of the Moon (as the Chinese lander did), you have a setup that doesn’t need gyroscopes to stabilize the telescope, and it can observe freely without the interference from the Earth's atmosphere. The Moon isn’t an ideal place to put all telescopes though - your telescopes have to be pretty durable to survive the temperature extremes on the Moon between daylight and shadow. With temperatures swinging from -298F to 224F, this is not a particularly kind place for electronics. A temperature swing of more than four hundred degrees, once every two weeks, is not for the fainthearted. 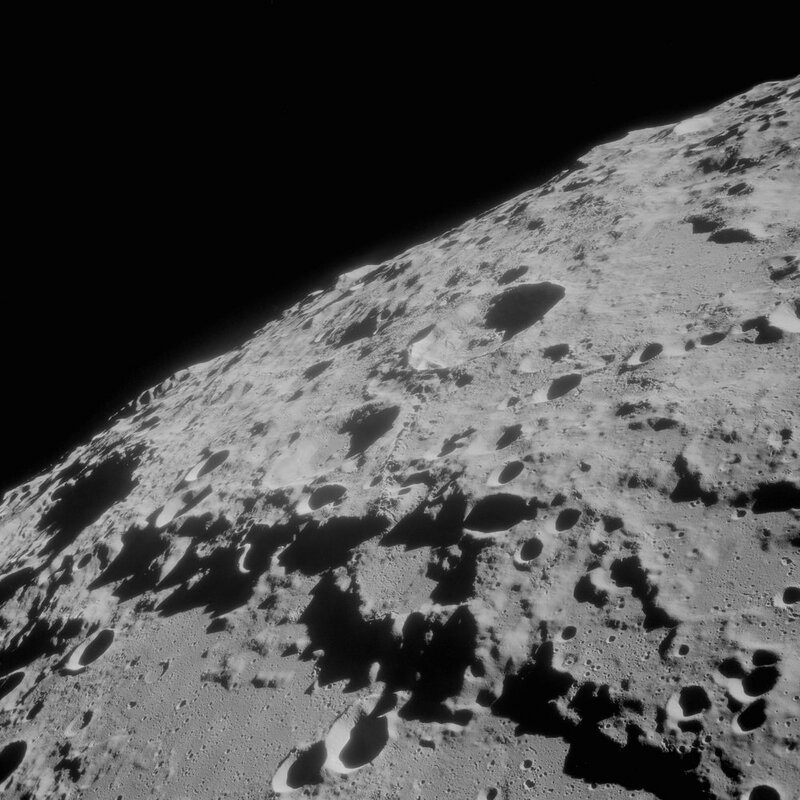 An Apollo 11 oblique view of the lunar farside in the area of International Astronomical Union crater No. 312, which is about 30 statute miles in diameter. Image credit: NASA. Optical telescopes on the Moon are similarly tricky - for two weeks out of every month, the telescope would be in daylight, no matter where you put it. The telescope would have to survive two weeks of extremely hot temperatures, cool back down, and then it could observe for a maximum of two weeks. Infrared cameras are an even worse fit; the thermal cameras attached to an infrared telescope are extremely sensitive to heat (by design) and without being able to fully shield the camera from the Sun, as we do for space telescopes, the detectors are likely to be unhappy after a few lunar temperature cycles. There’s an additional complication when it comes to the far side of the Moon in particular - it’s very hard to communicate with anything on the far side of the Moon. Radio waves can’t reach it, and so orbiting crafts have habitually just had a communications blackout while they’re behind the Moon (from an Earthbound perspective). There’s only one type of observatory for which this is an explicit benefit - the radio. On Earth, almost everything interferes with the clear observation of an astrophysical source in radio wavelengths. Everything from radar, to cell phones, to microwaves, to GPS satellite communications with the ground, to digital cameras, will interfere with the incoming signal from space. In general, the only solution is to put the radio telescopes very far away from as many of these things as we can, and hope for the best. But the far side of the Moon is shielded from all of this by the entire bulk of the Moon, and would truly be an interference-free area to put a radio telescope. It isn’t problem free, or we might already have a lunar radio telescope. The temperature stresses are still significant for a radio telescope. One option would be to construct a dish, like Arecibo, inside a lunar crater, but that would be a technical challenge without a more significant human presence on the Moon. However, some radio telescopes can function extremely well with simpler electronics. 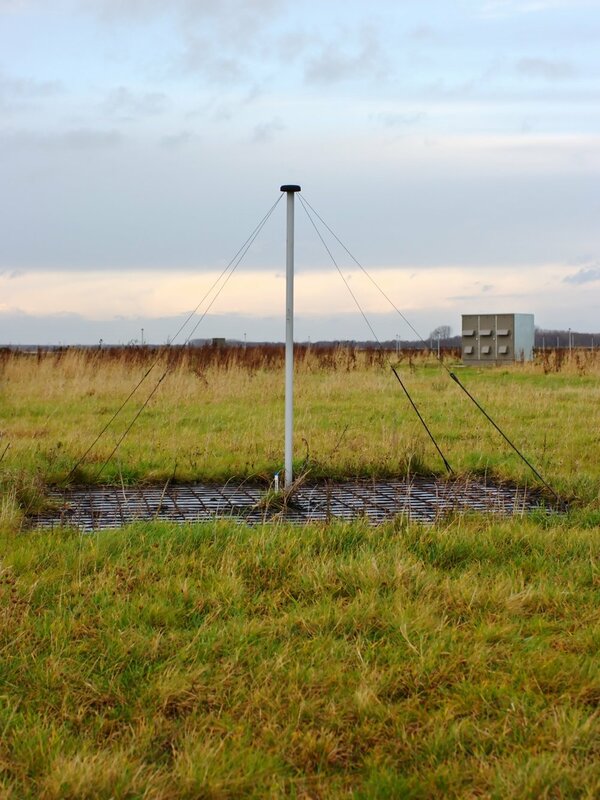 The LOFAR telescope, for instance, is scattered across Europe, and is mostly made up of a large number of very simple antennas, instead of the complex machine that is the coordination of the dish-style antennas that comprise the Very Large Array in New Mexico. In principle, we could scatter a similar set of simple antennas all over the lunar far side, and create a very large radio telescope. On the other hand, we still want to get the data back. And transmitting from the far side of the Moon directly, as orbiters can attest, is impossible. So how could we submit the data back home to Earth? Your two options are a heavy-duty cable which extends far enough around the Moon that the Earth would be visible, and if you can feel engineers around the world cringing, don’t worry - that’s not the preferred solution. The better solution is to put a communication satellite in orbit around the Moon, whose primary role would be to communicate between the telescope on the lunar ground, and to Earth, when Earth is again visible from orbit. While these communications may be a source of interference to the telescope, it wouln’t be an issue as long as the telescope stopped trying to see distant objects while its communication tether to the Earth was overhead. The main challenge now, other than developing a way to deploy a large number of antennas on the Moon, is simply cost. While we have no rocket which could transport humans to the Moon at the moment, we have certainly sent orbiters to the Moon in recent years. It’s expensive, though, and with a NASA budget that’s increasingly constrained, pulling together the funds for a telescope on the far side of the Moon will be the major constraint.